Our friends at Nash have just released some sweet free bone for y’all: their newest Nashbait Bait Booklet! About time they did so, we’ve been sitting numerous times in the Chesterfields in Nashy’s old HQ looking at all the jawbreaking carp Kevin Nash himself has caught back in the day, but never made to the Benelux press. 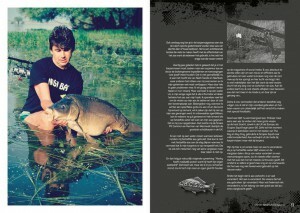 Now, with the re-release of some of their iconic baits, a part of these are featured in the new booklet, as we noticed. Nashy’s press release: “Perhaps the greatest carp book ever to be given away the Nashbait Bait Booklet, or Bait Bible as it has become known is 84 pages of full colour, no holds barred insight into the world of modern carp bait by Kevin Nash himself. 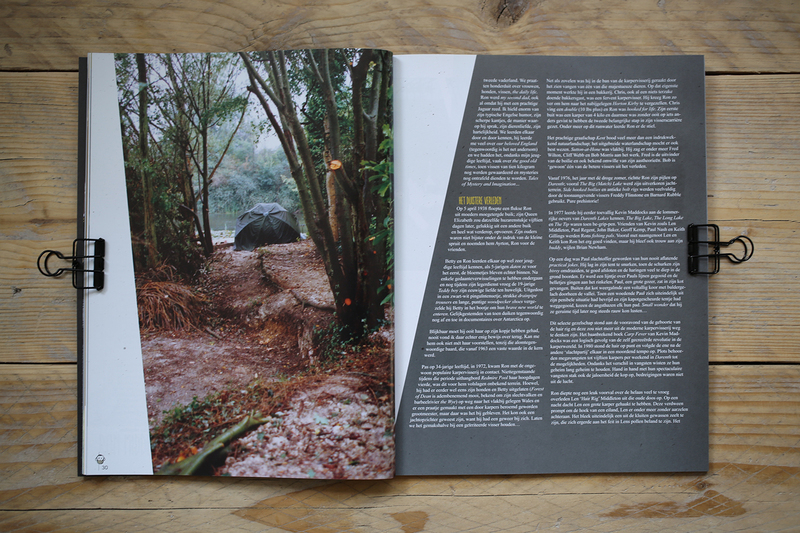 From a man who was there in the potatoes and crust era and has shaped carp bait history with the development of Nashbait and its iconic products, this beautifully designed A5 booklet is an essential reference not just for some of Nashbait greatest products but for a unique, warts and all insight into carp bait – what, why and where. 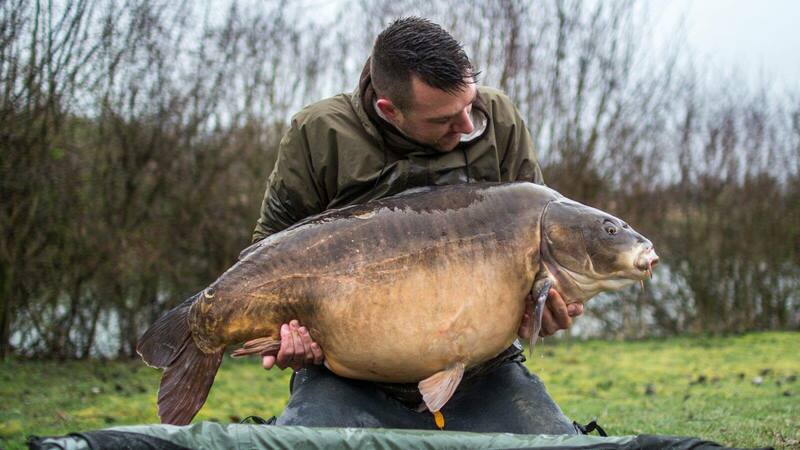 From custom hookbaits to presentation edges, surface fishing, attractor baits and HNVs, even the most time served carp angler can’t fail to learn from this remarkable work. Ollyskins are manufacturers of Heavy Duty PVC Waterproof clothing and are well established in the industrial protective clothing market where durability, attention to detail and high quality are required when the products are used in harsh environments. 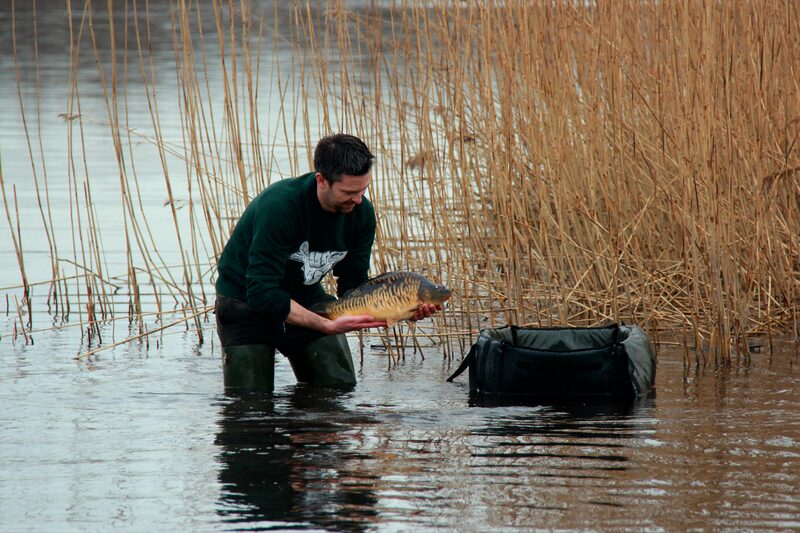 Within the collection Ollyskins feature a focused range of products for the Carp and Angling industry, including their renowned 2788 Premium Angling Chest Wader. 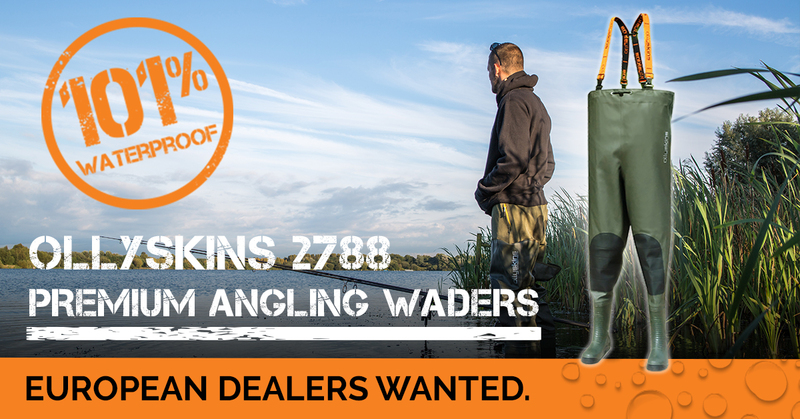 The 2788 Wader features distinctive orange straps, reinforced knees, adjustable waist, premium wellington boots and internal chest pocket. The XT700 fabrics is a premium grade PVC which is supply and resistant to degrading. In addition, there is Removable Tungsten Carbide studs that can be added and removed into the boots as you require. Other products in the range include Seamless Baselayer garments to keep you warm on the bank, boot liners, Promotional Hoody and Waist Belt. With further products in development Ollyskins are actively looking to establish dealers who can stock and support the brand in Europe. This opportunity will give interested dealers the chance to work with an alternative brand that is delivering garments that look good, feel good and deliver excellent wearer satisfaction. For an initial stock order, Ollyskins are offering a Popup banner for your store, Promotional Flyers, listing on the Ollyskins website as a dealer in your region and other sales support to ensure Ollyskins in your store is a success. For further information and to join this growing brand, please contact Rick Clark at Ollyskins on rick.clark@revere-im.com. 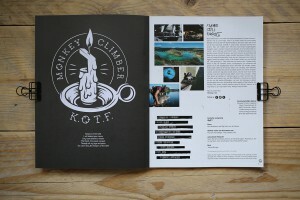 Mis nooit geen uitgave van Monkey Climber meer! Om onszelf heel wat administratieve rompslomp te besparen, en ook jullie aandacht niet te verliezen (grif toegegeven: we zouden ook wel eens een abonnementje hier of daar vergeten te verlengen) hebben we sinds kort eindelijk met de bank kunnen regelen dat we de abonnementen jaarlijks automatisch kunnen incasseren van onze leden! Daar hebben we wel jullie toestemming voor nodig, mogen we daarom vragen om het volgende document hier te downloaden, in te vullen, ondertekenen en bij voorkeur ingescand (smartphone foto is ook goed) terug te mailen naar info@monkeyclimber.be Afdrukken en opsturen kan ook naar: Monkey Climber magazine, tav/ Gio Vanhooren, Maria Theresiastraat 42, 8400 Oostende, België. 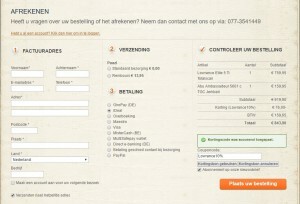 Ieder najaar wordt vervolgens 15,99 euro van jullie rekening gehaald voor de twee nummers die wij per jaar uitgeven. Zeg nu zelf, wat heb je tegenwoordig nog voor dat bedrag? Svp invullen, ondertekenen en aan ons terugbezorgen, en je bent lid zolang wij MC uitgeven! 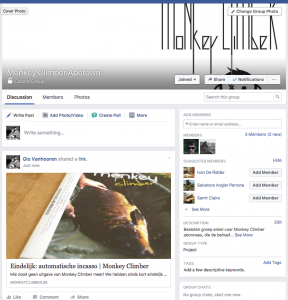 O ja, voor alle abonnees met automatische incasso die daar behoefte aan hebben, hebben we net een besloten Facebook groep onder de naam Monkey Climber Apetown opgezet. De bedoeling is om ideeën over het magazine uit te wisselen, nieuws, vangsten, enz. te delen. Kortom, een besloten plekje voor likeminded people. Gotta keep the faith! De Karpercommissie Leiden werd in het leven geroepen om het SKP-bestand Rijnlands boezem een nieuwe boost te geven en de monitoring terug op te pakken. Het enthousiasme en onze passie voor spiegelkarpers werd al snel beantwoord met een Go, go, go om ons vijfjarig plan te kunnen verwezenlijken. Vier maart jongstleden was onze tweede uitzetting met ditmaal ook een selectieve keuze van vissen voor de Put van Menten. De put die werd ontdekt door de nu nog vissende ouwe garde, de put met zijn verborgen parels, gestorven parels helaas. Viskwekerij Vandeput met zijn prachtig beschubde Valkenswaarders gaf ons de mogelijkheid het water met deze karakters aan te vullen voor de toekomst! Een toekomst waar onze kinderen wellicht dezelfde avonturen en passie aan zullen kunnen beleven zoals wij dat nu doen. Fantastisch toch om jouw eigen vlees en bloed te zien schitteren met een karaktervis die door zijn eigen vader is uitgezet! Dat was voor ons ook een reden van deze uitzetting. Het grootste deel van de aangeleverde vissen kon zijn vrijheid voortzetten in het grote open boezemstelsel, ondertussen maakten wij een selectie van twaalf vissen die bestemd waren voor de Put. Onder het toeziend oog van die eerder genoemde oude garde werd gelet op vissen met potentie en ik kan je vertellen dat dat verdomd lastig was. Snel de kuipen in de bus en naar het water was het motto. Een aantal mensen stond ons al op te wachten om te zien wat voor moois wij gingen toevoegen aan het huidige bestand. Vaders tezamen met kinderen en medevissers uit de regio mochten trots mee poseren met de nieuwe bewoners van de Put. De Put waar we de passie, gedrevenheid en respect mee doorgeven aan de nieuwe generatie karakterjagers… The Passion reborn!! De auteur met een meer dan aardige uitzetvis. 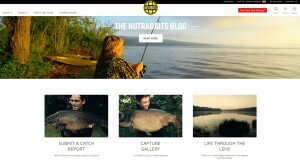 Recently we did a short interview piece with the lads at Nutrabaits, focusing on the brand, its history, key products, future plans… And even an exclusive collab with us! 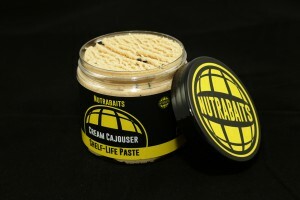 Q: For those living on the moon, can you tell us a bit more about the Nutrabaits brand and history? A: Nutrabaits was established in 1986 by two of the carp world’s most passionate and dedicated anglers, Bill Cottam and Tim Paisley. 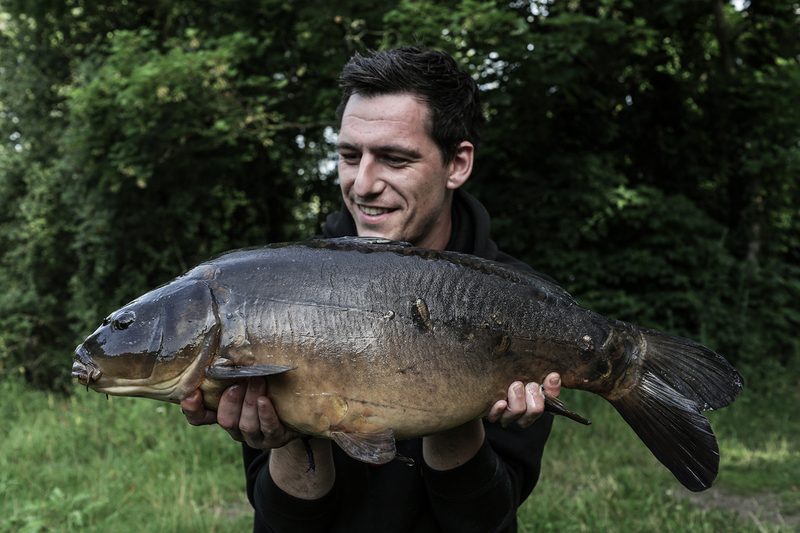 The brand was built on an ethos of quality and every ingredient used within the product range was designed to provide nutritional value to fish. In turn, this would lead to a more consistent catch rate for the anglers’ that used the products because carp, just like humans, they recognise what food source is beneficial to their dietary needs. 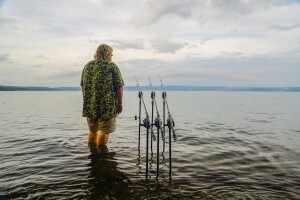 In the first two years of trading Bill was working as a swimming pool attendant and processing orders for the fast-growing bait brand in his spare time. 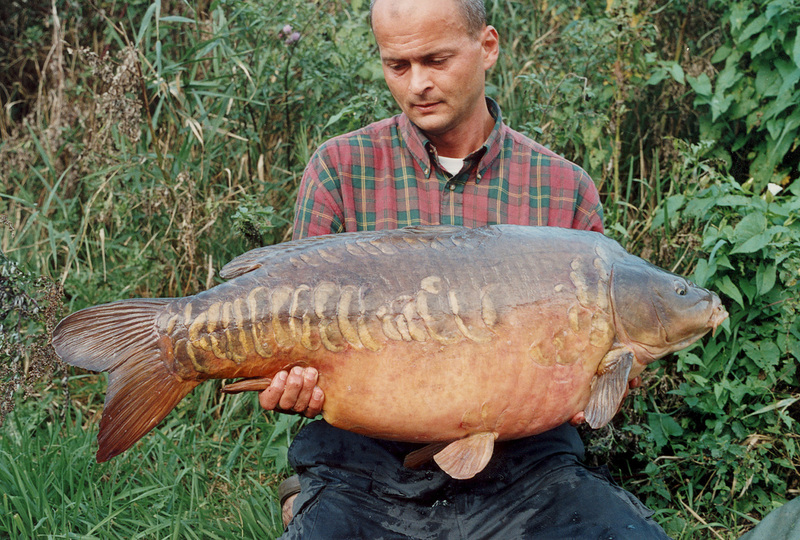 In 1988, Bill left his job and put his heart, soul and every hour the carp gods sent into growing Nutrabaits. 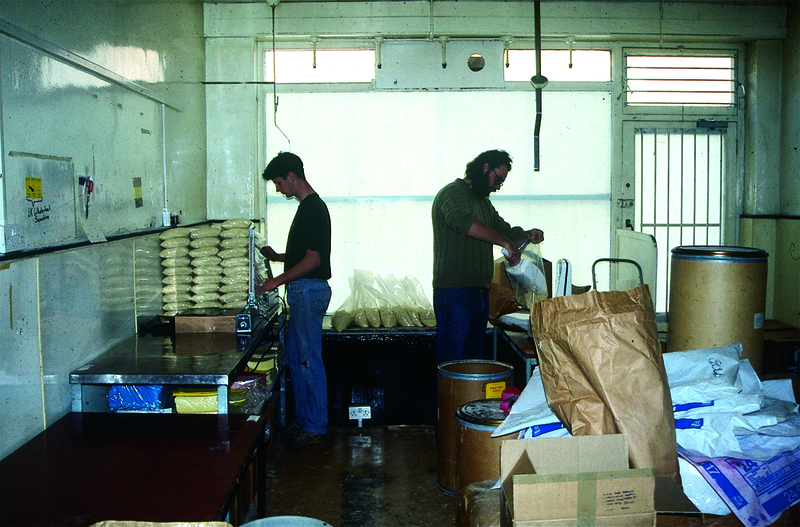 The brand actually grew beyond Bill’s wildest dreams and set a new precedent in the bait world as there wasn’t the competition there is nowadays. Most that lived through the era would be inclined to agree that the launch of Nutrabaits changed the bait market within the carp angling sector forever, and set a precedent that lead up to the multi million pound industry it is today. 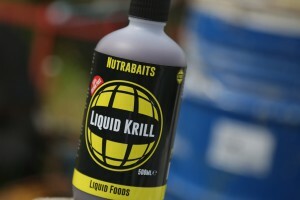 Q: Unbeknown to many we guess, Nutrabaits was sold last your to the TAG group which holds Taska and Kryston as well. What’s been happening in the last few months, is Big Bill still involved? A: Great question Gio, this is something I’ve been itching to be asked so that I can provide some business background for the every-day angler that wouldn’t necessarily know what goes on behind the scenes. Firstly, I’ll start by saying a resounding YES to the question; is Big Bill still involved? I work closely with Bill on a day to day basis and I’ve got so much respect for that man, he’s truly a legend of our industry and an admirable gentleman. He’s a keeper of the faith if ever I’ve seen one! Bill’s involvement is still quite hands on within the company, we liaise with him for new product developments, he helps me out tremendously from a marketing perspective and he also plays a key role looking after some of our distributors across the globe. 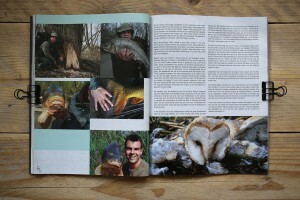 Now, let’s talk all things business and answer the rest of your question… I’m the brand manager for The Angling Group which is a company that has more than one brand under its roof, there are loads of companies in our industry that have a direct affiliation without the consumer even realising. 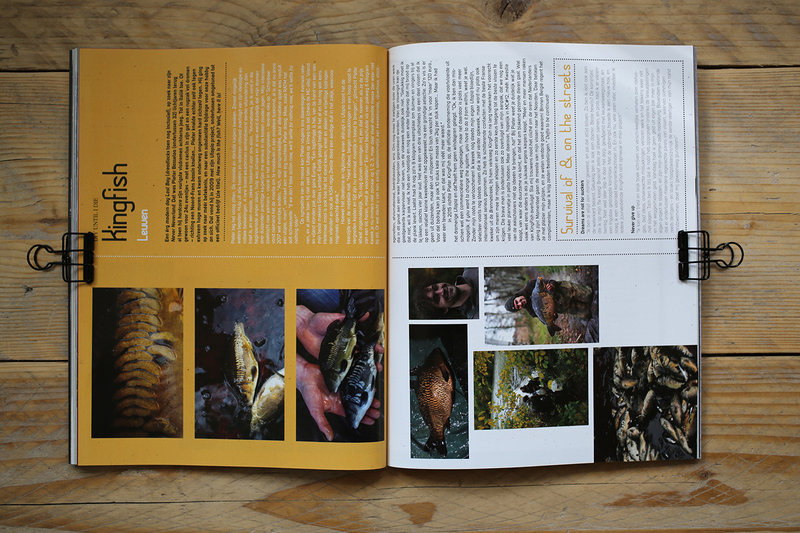 Groups made up of multiple brands create powerful businesses and powerful businesses in our industry lead the way on innovation and re-investment to provide a better overall offering to the everyday carp angler. Working on a number of brands under one company makes my job super interesting, but at the same time it’s extremely demanding having to juggle between brands that are all very different and have different needs that I have to attend to. Fresh new look, and some fresh new products. Q: Are there any changes in the range since the takeover? And is there any new products coming? A: Yes, we’ve changed the range quite a bit, we’ve stripped back our product offering and the products that were not amazing sellers have been discontinued to make way for new developments. I’ll give you an exclusive here as I’ve not mentioned it to anyone outside of our business yet, but we’ve been working on a new Trigga formula that is essentially a MK11 new and improved version of Trigga Ice that will be called Trigga365, designed for year round attraction. Keep your eyes peeled for that. I don’t know the exact release date yet as we’re still fine tuning the product offering, but it looks set to be another winning formula! 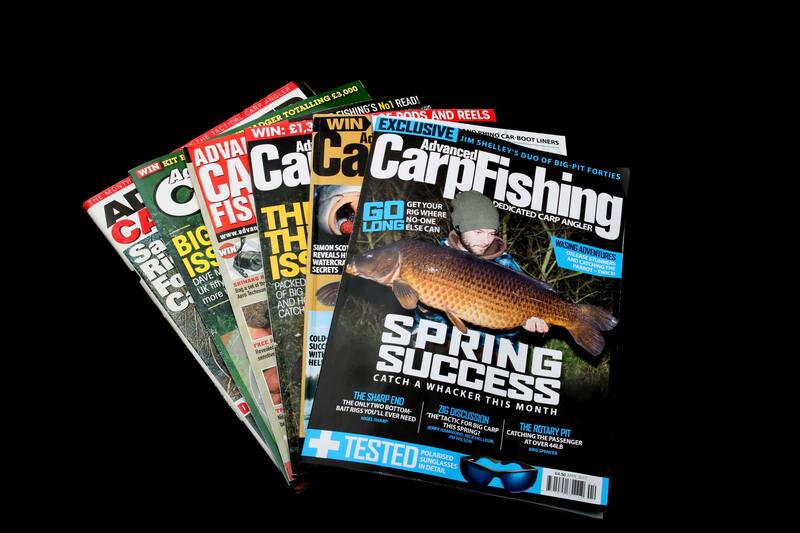 On top of that we’ve been working on a number of top secret projects that are all designed to help anglers catch more carp. 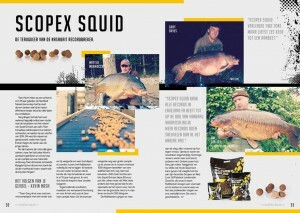 Tip Topz are set to release this summer, we’ve already done some promotional work on these flavour filled buoyant half baits have been designed to give you a visual and high attract edge for pop-up rigs or snowman presentations, they’ve been a huge hit with our field testers and us here at the office. 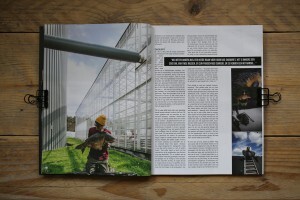 Q: As we hail from Belgium ourselves, are there any specific plans for the Benelux? A: Yes of course, our continued work with MC is something that we intend to do more of this year. 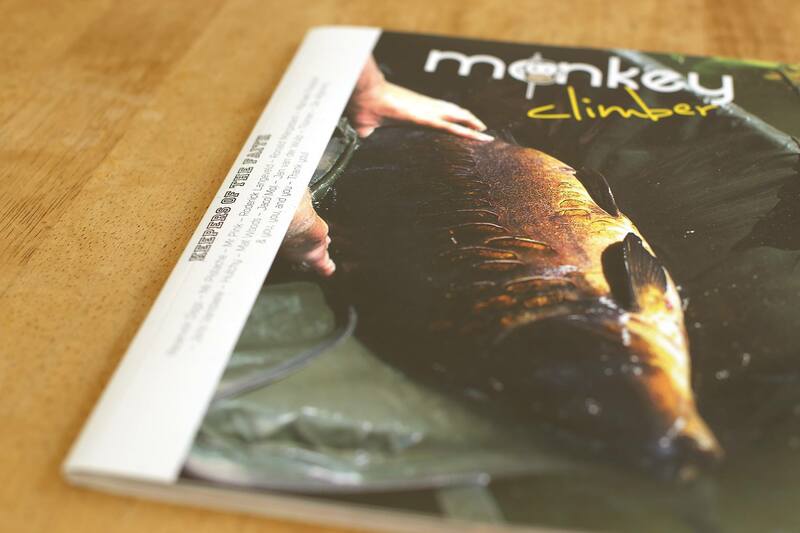 We love the Monkey Climber brand and we love its audience so we want to bring the Benelux as much exclusive content through our media work as possible. 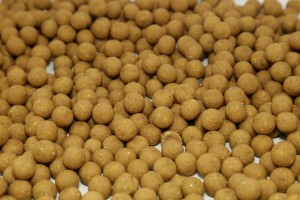 There is also some exclusive products that are targeted at the Benelux market to come out very soon. 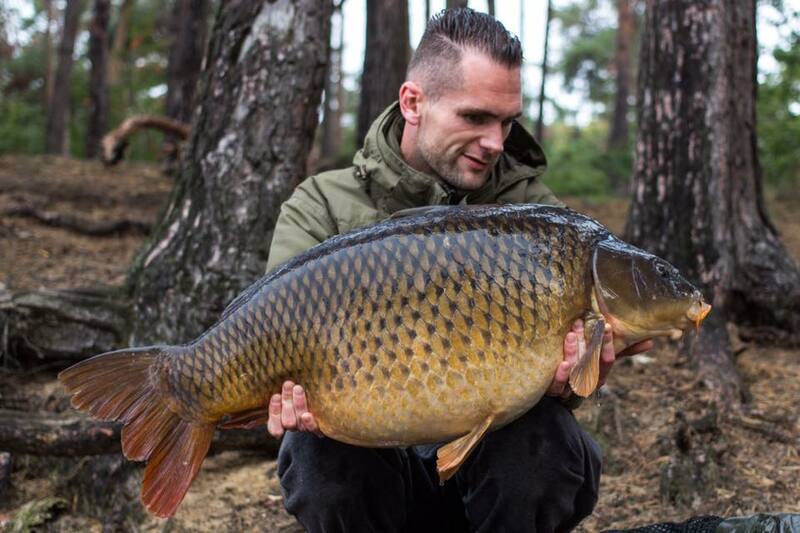 I’ve recently signed two new anglers for Nutrabaits Team Benelux, Roy De Roo and Danny De Kruyff, both of these chaps are heading up what I’ve called our “New Vision Team”. Their role is to help promote the brands throughout the Benelux and create a new vision team made up of the best up and coming anglers from the region. So far I’ve been extremely pleased with their work ethic and I foresee big things on the horizon! Q: You have strong online plans as well. Can you shed an exclusive light on that already maybe? 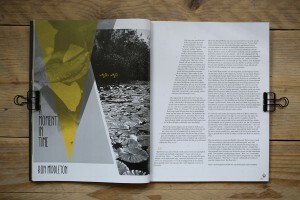 A: Two exclusives in one interview Gio, damn you’re good! 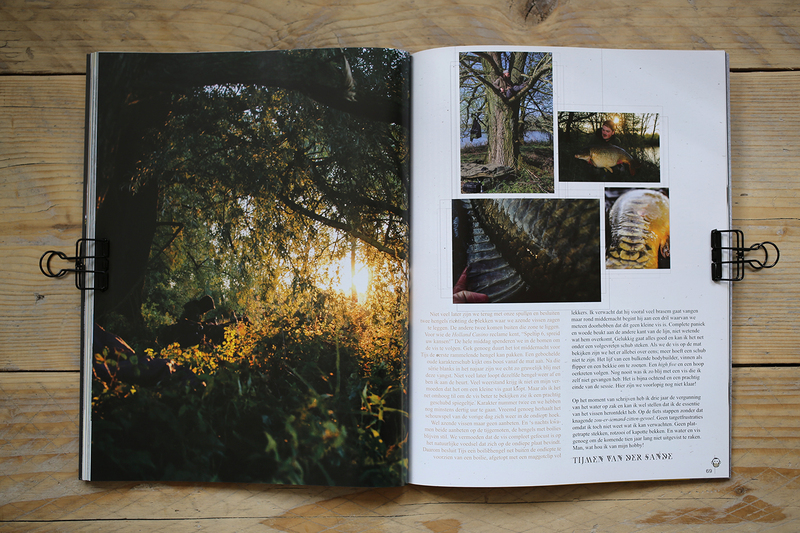 This is something I’ve been buzzing to talk about in a public forum so I’m happy to shed light on what we’re doing. In recent months, we’ve been working hard on a new website for the brand; well, all of the brands we have under TAG are getting new websites, plus we’ve created a completely new brand complete with a website to boot that no-one outside of our office has seen yet. As you can imagine, this is no small task and it’s completely taken over my life in the past few months! 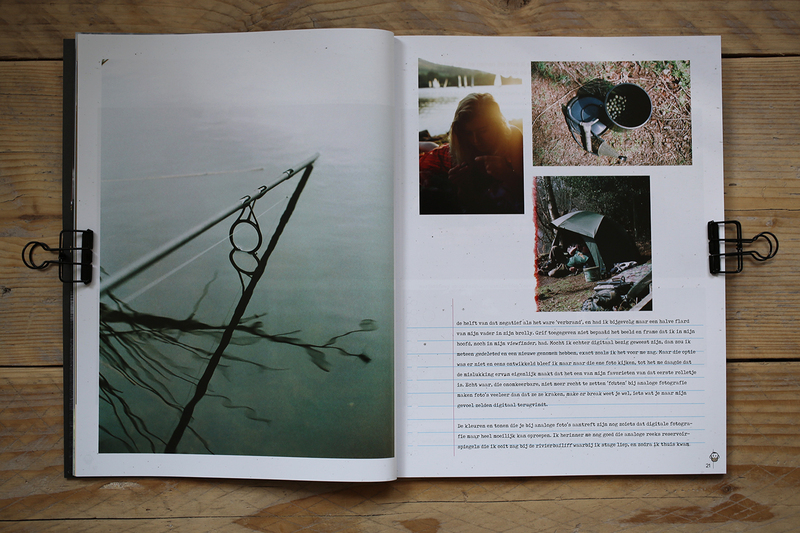 I’ve had so much fun working on this project, but brother I am very much in need of going fishing to get some chill time once the sites go live. It has not been an easy task to complete and the journey has been filled with trials and tribulations… The biggest obstacle to overcome was when my right hand man, Harry Law, ended up falling seriously ill and required an emergency operation whilst we were in the middle of building the site which meant I was a man down and had lost my head space as I was worrying about my little sidekicks health at a really crucial point of the site build. Luckily our man was all good, he made a full recovery after taking a month or so resting up and he’s now back in the office doing what he loves. It’s so good to have him back and I’m glad he’s back to full health in time for the official launch. The Ostend shipping canal was kind during our stay… Double trouble Gio and Harry Law. Q: All sounding very sweet, brothers, what about the exclusive Nutrabaits >< Monkey Climber we’ve been talking about on the banks of the Ostend shipping canal last year? A: Three exclusives now, I must tell you too much in our off the record conversations haha. Now, you know all about these, but I’ll enlighten your readers about what we’ve created together… Last year myself and Harry spent some time with Gio in Ostend to embark on some limited edition collaborations, we brainstormed quite a bit and discussed many projects. The first collab we are set to finalise is a limited range of Pop-Ups, using proven recipes that was provided to us by Gio. 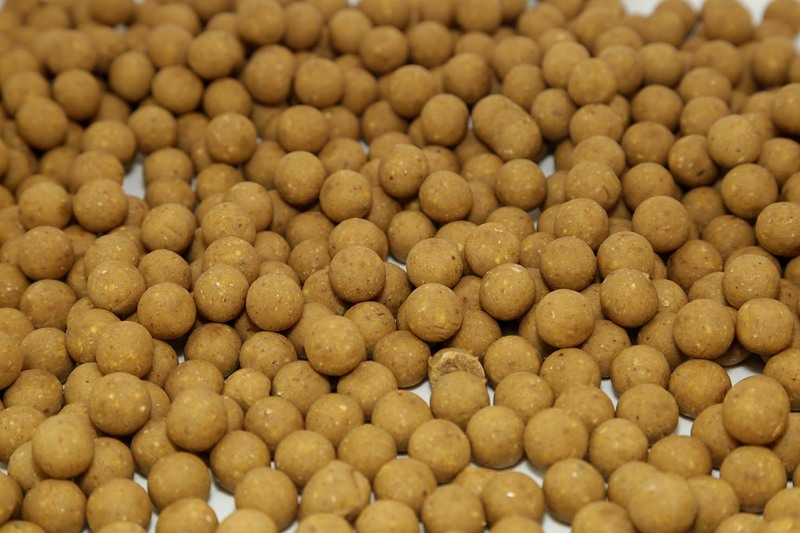 Sneak peek of the exclusive collab we’ll do, MC >< Nutrabaits Saffron & Cream in washed out pink. 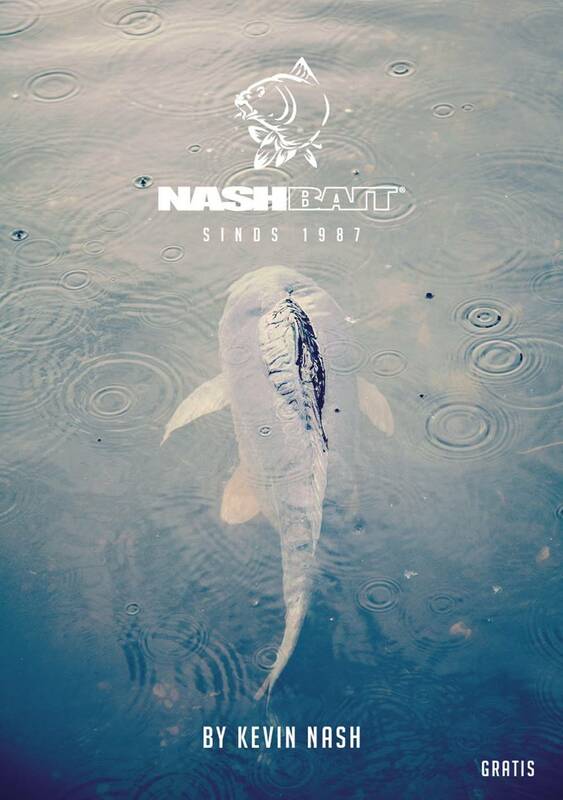 We wanted to create something unique that had an old school feel to it so that the products included time proven flavours and were guaranteed to be efficient carp catching products. What Gio developed with us were two mind-blowingly good Pop-Ups; a Saffron and Cream combination in a washed out pink and a truly intense fusion of high attract liver in a prominent white. Both products are superb and we’re set to launch them in conjunction with the new website, they’ll also be available to purchase via the MC website upon release. Remember they’re limited so get in there quick when they’re released! 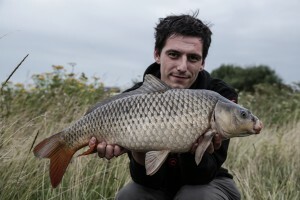 First one from the Ostend shipping canal for Ben. 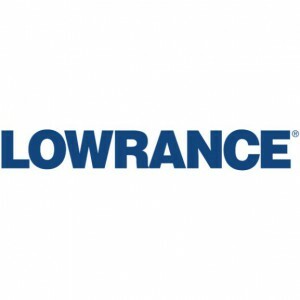 10% extra korting op Lowrance Fishfinders bij Fish In Venlo! Dat onze adverteerder Fish Inn een echte prijsvechter is weten de meeste van jullie inmiddels al. Toch wordt er de komende 2 weken een schepje bovenop gedaan. 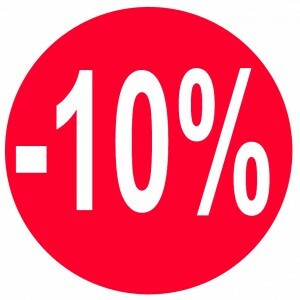 Van 3-3-2017 t/m 19-3-2017 krijg jij namelijk 10% extra korting op de nu al super scherpe prijzen. Zo wordt de aanschaf van een nieuwe Lowrance toestel wel heel interessant! 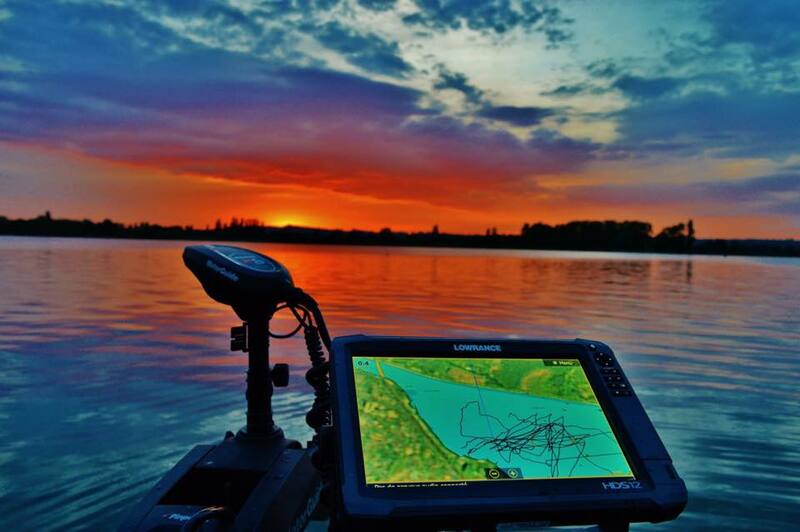 Alle toestellen uit de Lowrance Hook, Lowrance Elite TI en de Lowrance HDS gen3 series die bij Fish Inn verkrijgbaar lopen mee in deze actie (uitgezonderd het nieuwe Elite TI 9 toestel). 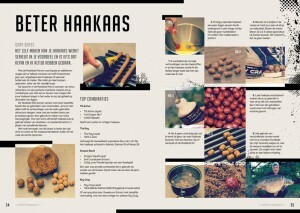 Of je nu een Hook 3 of een HDS gen 3 aan wilt schaffen, de korting kan oplopen van €12.90 tot maar liefst €403.00. Om gebruik te maken van de 10% korting volgt u het normale bestelproces. Als u op de afrekenpagina bent aangekomen vult u de kortingscode: Lowrance10% in het veld couponcode in (zie onderstaande afbeelding). 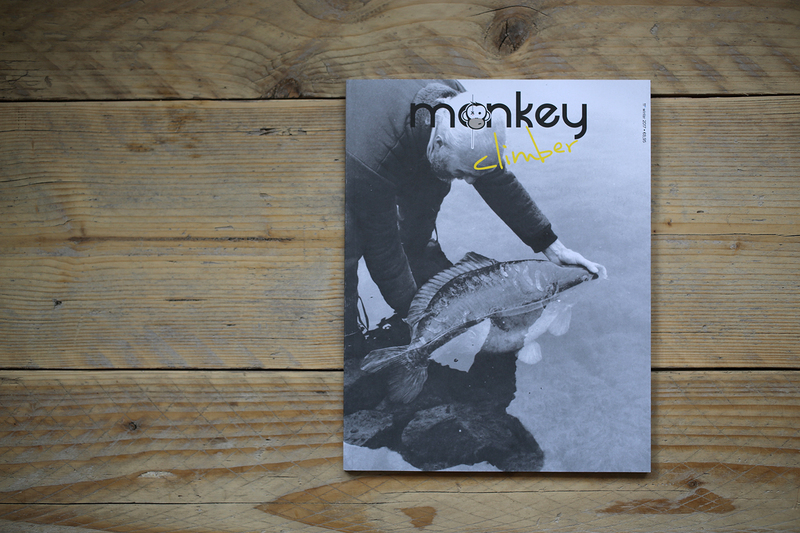 De nieuwste editie van Monkey Climber magazine is alweer een goede maand uit, en nu pas vonden we de tijd om een soort van (p)review online te zetten. 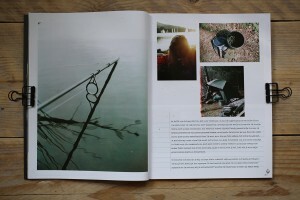 Een review in de vorm van een recensie is het alvast niet – dat zou nog maar al te gek zijn over je eigen creatie – een preview van wat dit nummer te bieden heeft is het wél, aan de hand van een aantal leuke quotes en teasers uit de verschillende artikels. 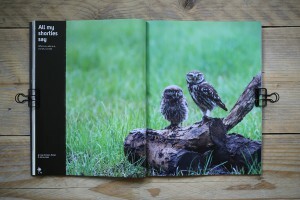 Zoals steeds ook weer ten volle aandacht voor de beste fotografie in MC#11, hier een van de drie wonderschone spreads. All my shorties say, een prachtbeeld genomen door onze Nederlandse vriend en lezer Jeffrey Haak. Ditmaal een erg bijzondere wH2o’s wH2o, temeer omdat onze interviewgast kort na het interview spijtig genoeg zijn laatste adem uitblies. Kortom, een interview met een dubbel kantje nu we erop terugblikken. 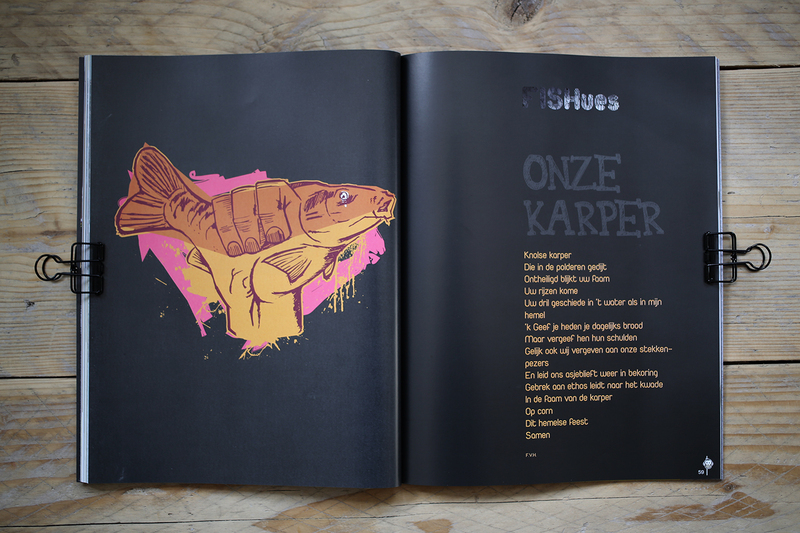 Enerzijds verheugd dat een Engelse pionier als Ron Middleton de tijd nam om ons te woord te staan over zijn levensloop, zijn karpers en zijn karpervisserij, zijn Ashmire, zijn vrouw, zijn huisdieren, zijn auto’s en zijn nog-zo-veel-meer, anderzijds een diepe jaap in ons hart omdat we zelf nooit de kans hadden om beter kennis te maken. Een interview doorspekt met funny stories en nog meer grappige anekdotes, zoals deze: “Ron was reeds een weinig met België vertrouwd. Hij beviste er sinds 1983 twee maal per jaar een mooie zandwinningsput, waar Stef (red. 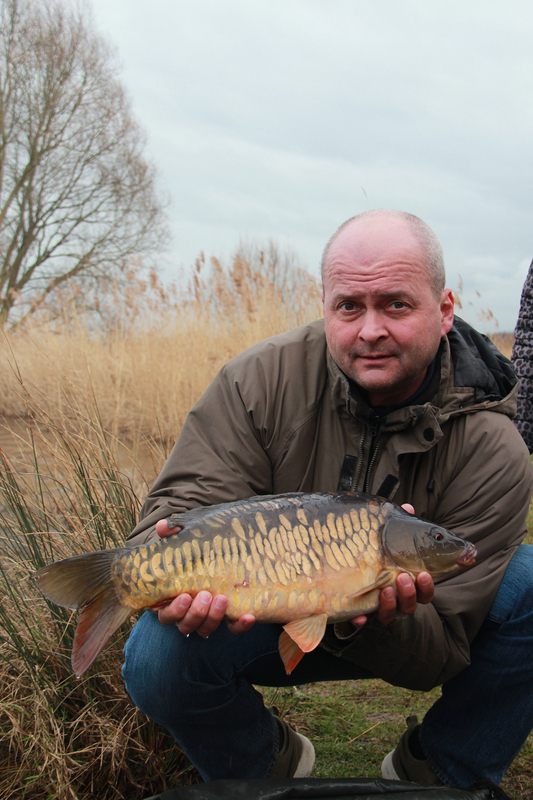 : Michiels) hem ontmoet had. 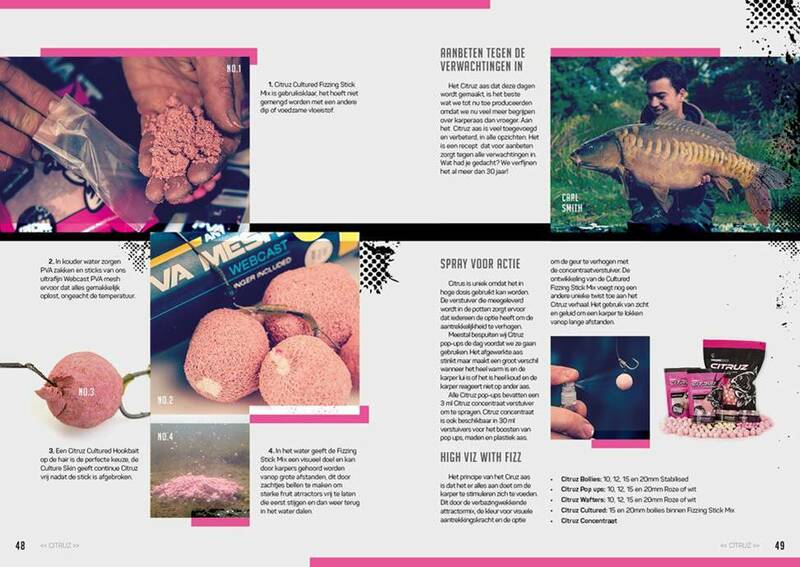 Ron hield er van de schaarse bezetting karper, de aangename omgeving, de voorbij slenterende femina’s, langgerekte worstenbroodjes en plaatselijke smoutebollen. 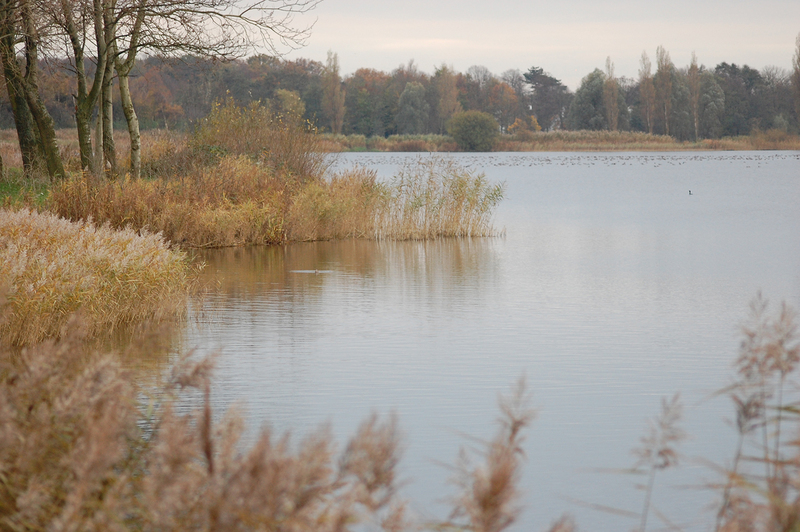 Hij waste er uitgebreid zijn gespierde torso en meer van dat aan de oevers van het kabbelende water. 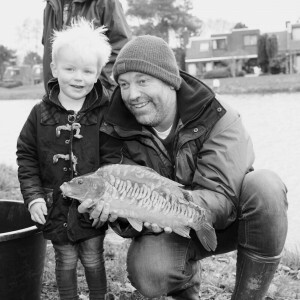 Toen schalkse voorbijgangers riepen: “Wast ’em!” vermoedde Ron, als een kind zo blij, dat men wist dat hij Engelsman was. Hij had immers begrepen: “West Ham”, wat een voetbalclub uit Londen is, waar hij vandaan komt. 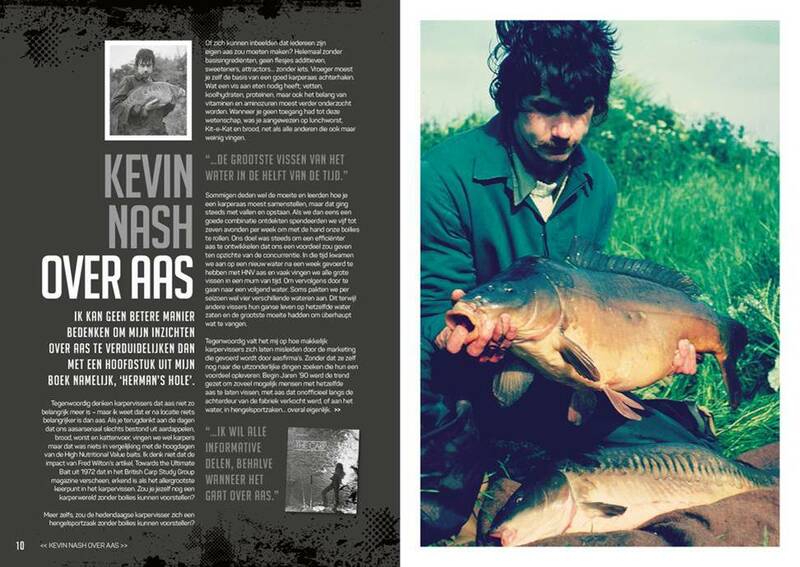 Die Ron toch…” Ron prijkt ook op de cover van MC#11, bij het terugzetten van Big Scale, een Belgische legende die hij tot twee keer toe ving. “In de uitgestrekte Deltanatuur van een van onze grote rivieren ligt al jaren een bijzonder verhaal verscholen. Een verhaal dat nog niet eerder is verteld. Het staat bol van de avonturen en soms ook van gevaar. Rijke successen en schromelijk falen liggen er dicht bijeen. 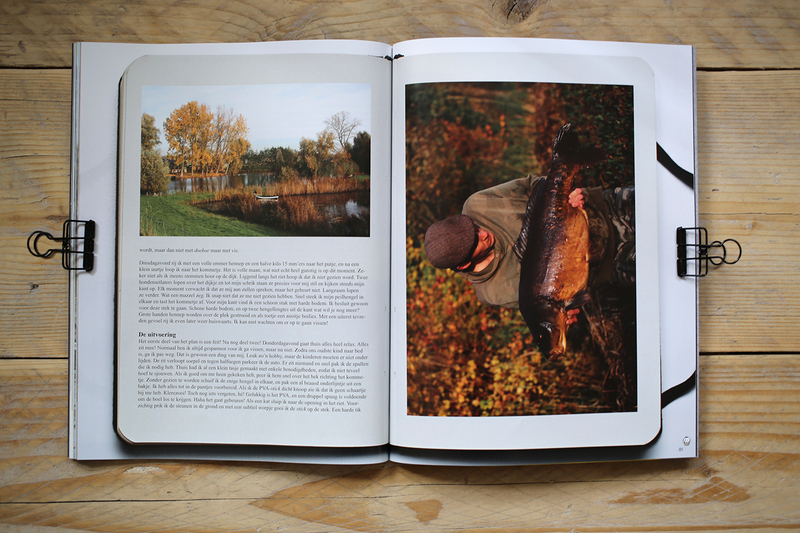 In de hoofdrol twee mannen die ruwe bolsters pogen te zijn maar eigenlijk samen hun jongensdromen herbeleven. Het vinden en vangen van een paar karpers was weliswaar de aanleiding, maar dat was ondergeschikt aan de beleving van het geheel. Niet veel meer dan een schamel excuus om van de wilde natuur te kunnen genieten. Van heel vroeg tot heel laat, als struikrovers in de nacht. 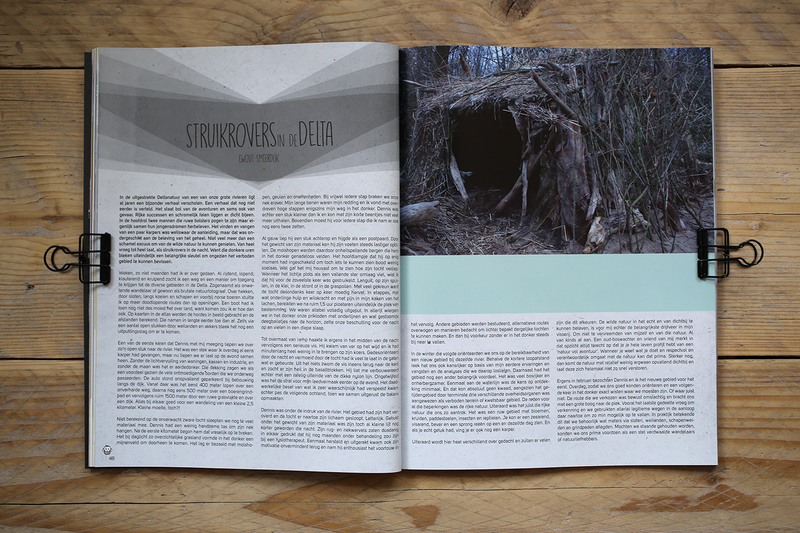 Want die donkere uren bleken uiteindelijk de belangrijke sleutel om ongezien het verboden gebied te kunnen bevissen.” Struikrovers in de Delta, Ewout Smeerdijk. 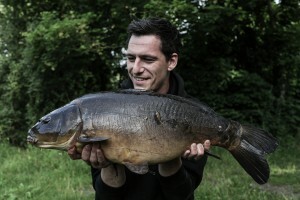 FISHues is back! 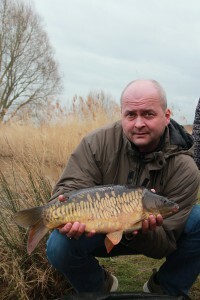 En wel met een ‘Onze Karper’ geheel in Carp Shaka stijl. 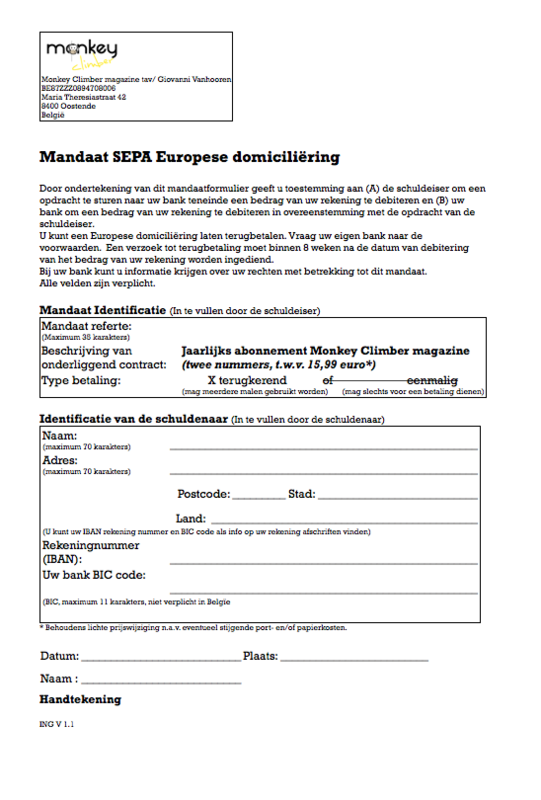 Voor iedereen die urenlang schietgebedjes reciteert tijdens dat ellenlange geblank. Als klein mannetje droomde Tijmen van der Sande al jaren dat hij in een mooi natuurgebied op fietsafstand zou mogen vissen. Helaas bleef het bij dromen en eigenlijk was hij al vergeten dat hij zich ooit ingeschreven had voor een vergunning. Op 14-jarige leeftijd was dat, op een forum, met vooral een reeks ongenuanceerde berichten dat hij eerst maar eens moest leren vissen. Toch was er een bekende naam uit het wereldje die hem aan de contactinfo hielp, en jaren later kon Tijmen er als bij toeval aan de slag. 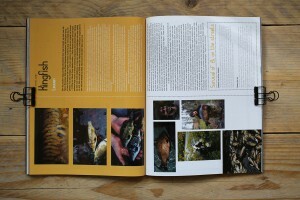 Blondes have more fun, zeven pagina’s op en top genieten van het karpervissen zoals het ooit bedoeld was. Nieuw in Monkey Climber is de DiY Until I die reeks, een ode aan mensen die zelf iets uit de grond stampen en daarbij niets uit de weg gaan. 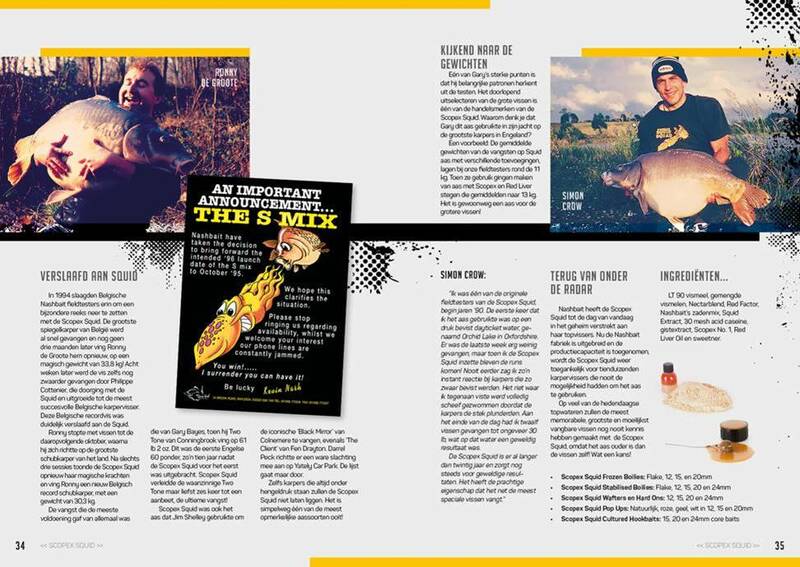 Vanuit onze eigen ervaring en obstakels op het MC pad niets dan respect voor Fallon’s Angler magazine en Kingfish die we in dit nummer belichten. 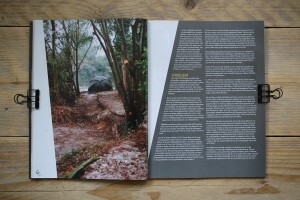 Hoofdstuk 21. Bazil. Een visplan kan haast niet slechter starten. 21 nachten voor de kat-ze-viool vissen. Je targetvis zonder dat je het weet verhuisd en de enige twee andere vissen die er huisden gestorven. Een-en-twintig nachten. Sommigen vissen er zelfs niet zoveel op een jaar! Het overkwam onze vriend Wijnand van Hemert, die na deze tegenslag op als bij toeval op een ‘ietwat’ verboden vrucht stootte. 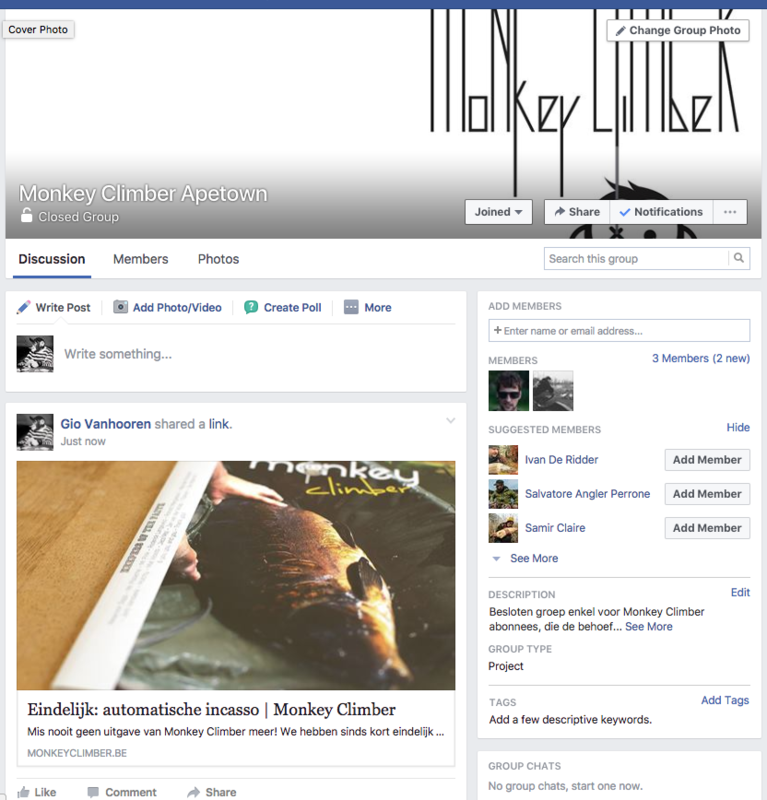 De zoektocht naar Nederlands eigenste Bazil, exclusief voor u in Monkey Climber neergepend. Nog geen lid? Of je abo vergeten te verlengen? 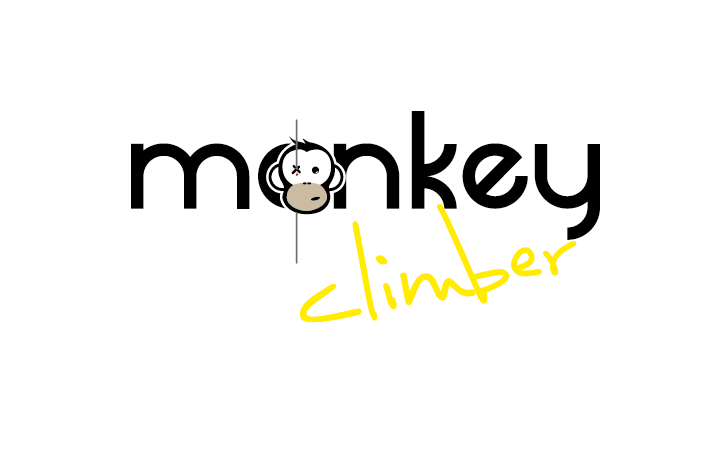 Een jaarabonnement (twee nummers) op Monkey Climber kost 15,99 euro en kan genomen worden via overschrijving op rekeningnummer IBAN = BE27738023294873, BIC/SWIFT = KREDBEBB, op naam van Monkey Climber Magazine, t.a.v. Giovanni Vanhooren, Maria Theresiastraat 42, 8400 Oostende, België met volledige vermelding van naam en adresgegevens. Vanaf volgende week bieden we ook automatische incasso aan.